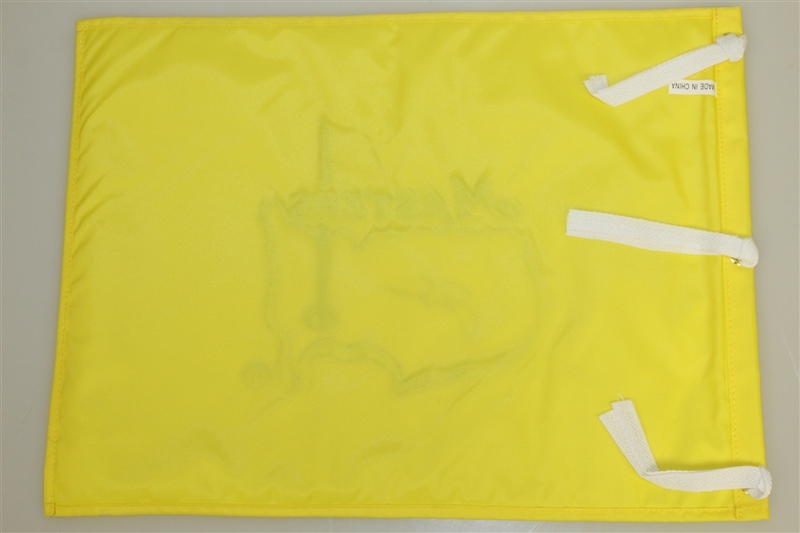 Undated Masters flags are drying up fast again. This will be the preferred Nicklaus signed item in years to come. An undated Masters flag is a desired item for collectors, and when you add an autograph by Jack Nicklaus it makes this lot in high demand. 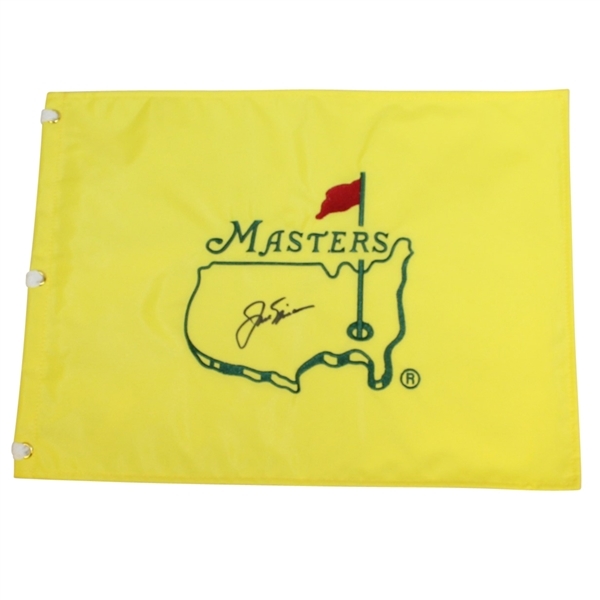 Nicklaus signed in black Sharpie inside the Masters logo of this flag, which is in perfect condition, free from rips or tears. No one has handled Augusta National like the Golden Bear, winning the Masters a record six times (1963, 1965, 1966, 1972, 1975, 1986).